PRICE CUT 400! CITY FOR CONQUEST ’47 LB ITALIAN POSTER! CAGNEY! MARTINATI ART! 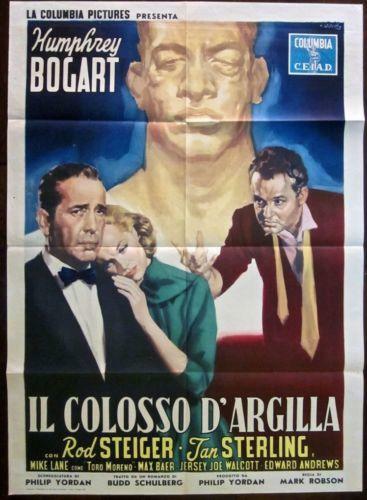 Size: Original 1947 Italian 2-Foglio (39 x 55). Condition: Overall displays in Very Fine Condition. 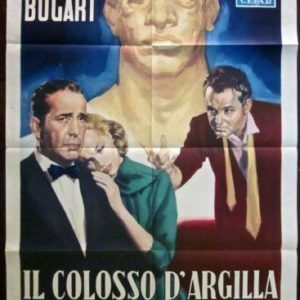 Original and scarce 1947 Italian 2-Foglio for the James Cagney as a blind man drama, CITY FOR CONQUEST, co-starring Ann Sheridan. This vintage original poster features gorgeous artwork by renowned artist, Martinati, and has been backed on linen. Please see accompanying images for a detailed view of this beautiful poster. We will be adding new items including great titles starring John Wayne, Buck Jones, Orson Welles, Karloff, Steve McQueen, Humphrey Bogart, Marlene Dietrich, Clint Eastwood, Bette Davis, Horror, Film Noir, Western, Beach and Bikini, and Jungle Movie Posters. Thanks for looking and Always Feel Free To Make Offers On Any Of Our Items…Good Luck! CUT 85$! 1967 LB ITALIAN LOCANDINA - BELLE DE JOUR - STUNNING CATHERINE DENEUVE! CUT 85$! 1967 LB ITALIAN LOCANDINA – BELLE DE JOUR – STUNNING CATHERINE DENEUVE! FREAKS - VINTAGE '16 ITALIAN 2 FOGLI POSTER - TOD BROWNING CLASSIC! FREAKS – VINTAGE ’16 ITALIAN 2 FOGLI POSTER – TOD BROWNING CLASSIC!